HELP! My Pet is Lost! How Cool is this! 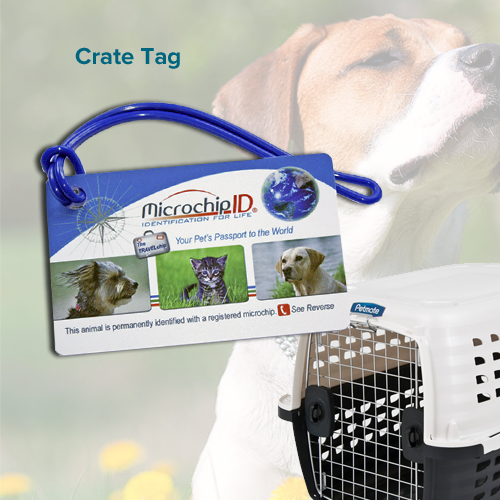 Your pet will wear his custom tag with pride. Our SearchALERT™ logo and Call Center number are included. Check out all features below! 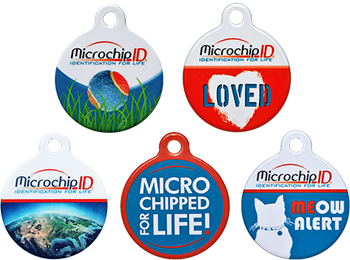 Our Best Selling Collar Tags! Colorful and fun on the front – all business on the back! 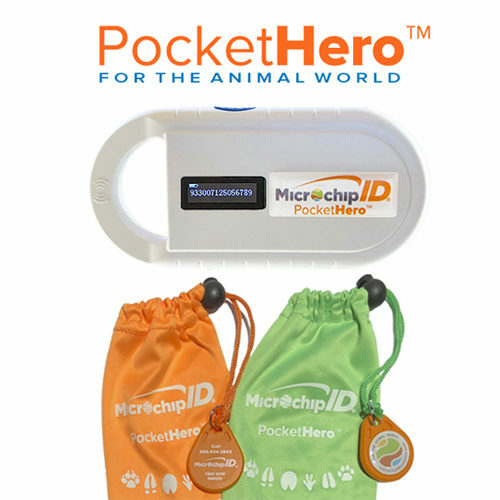 Can be ordered for any pet with a registered microchip number. 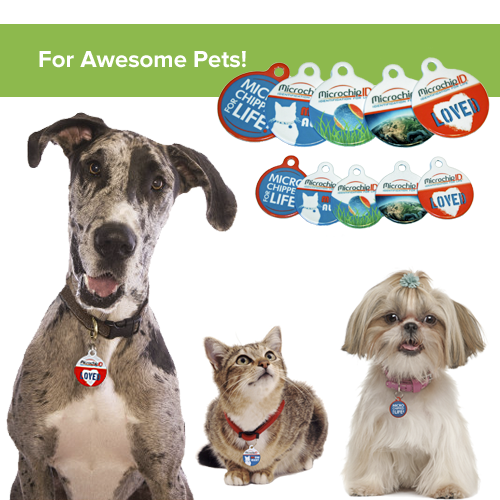 Your pet will wear it proudly! Get a spare for your key chain! • Strong yet light steel core. • Coated with an everlasting special polymer. Colors are infused into the material. • No etched areas to catch debris or hinder readability. • Manufactured and made in the United States. • Guaranteed to be readable for life. LARGE (1.25 inch) – Perfect all dogs and cats, recommended for medium to large breeds. 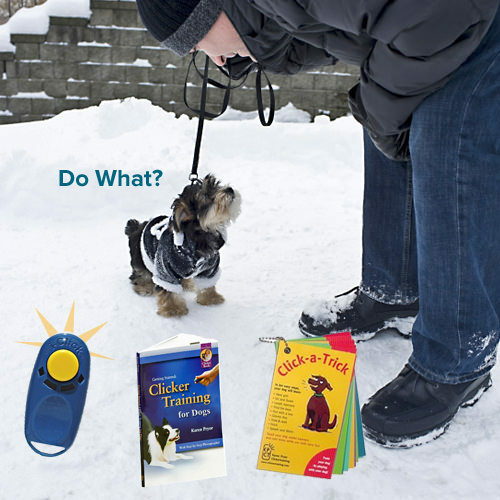 SMALL (7/8 inch) – Ideal for young puppies and all tiny breeds. Perfect for kittens and cats. Sturdy steel ring for attachment to collar. Glow-at-Night rim silencer can be used to prevent clinking! 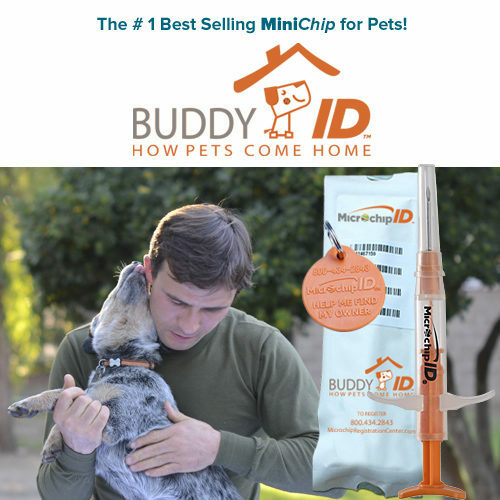 Free Pet SearchALERT™ – Our team specialists are standing by to help day or night. I Found A Lost Pet!